Face up to Racism! is a project led by ENAR Ireland, developed in partnership with SIPTU and Irish Congress of Trade Unions (ICTU)’s Congress Centres Network, and which is now being offered to the wider Trade Union Movement in Ireland. It is a project whose development was supported by the Irish Human Rights and Equality (IHREC) Equality Mainstreaming fund, and launched by IHREC Chief Commissioner Emily Logan. The project is about training trade union leaders to recognise and respond to racism, and mainstreaming www.iReport.ie within the trades union movement. Face up to Racism! 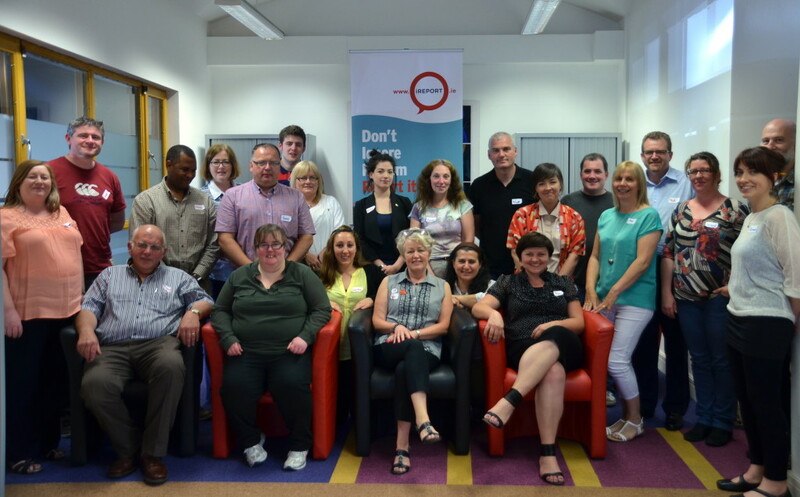 Participants at Mandate Organising and Training Centre, June 2015. Why Face up to Racism? We live in a society where the problem of racism is only slowly getting recognition. If as few as 10 % of society-wide incidents of racism are reported to an authority, in the workplace it is much less than that even. Reasons for this vary. While some studies emphasise people’s reluctance to be labelled as troublemakers, others reveal that people don’t see the point because they don’t believe anything will be done about it. Workplace racism can have a deep negative impact on the individual, it can affect their psychological and even physical well-being, as well as their ability to fulfill their duties. Through iReport.ie we hear many reports of racism in the workplace. One woman recently told us that, after four years of racial bullying and in exasperation at not being understood or getting support, she quit her job. In the context of the fight back against “austerity”, this “silence” imposed on people who experience racism can also have a particularly corrosive effect on solidarity among workers, and on the ability of a union to organise. How can union activists face up to this workplace racism which may divide us in ways that are invisible to us? Through the mainstreaming of iReport.ie, the Face up to Racism! Project promises to enable the Trade Union movement to lead in the fight against racism in the most challenging environments, to become the champion of anti racism practice as it champions the fight for fair working conditions and dignity for all. 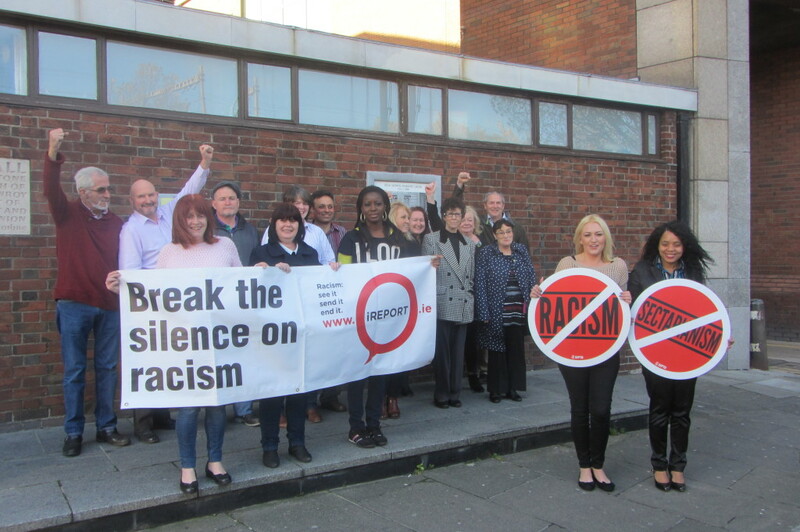 ENAR Ireland offers half-day and full day versions of its “Face up to Racism!” training, available to Trade Unions. 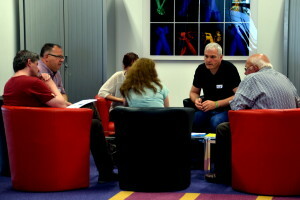 In our pilot programme, we have had very energetic and entertaining sessions with diverse group of activists, shop stewards and organisers, from SIPTU, Mandate, the PSEU, the POA, the IBOA, the CPSU, the CWU and the TEEU among others. The training provides a safe, non-judgmental environment in which union members can develop their own skills for identifying and thinking about racism in its different forms and different contexts. It offers plenty of space for exploring scenarios, asking questions, discussing ideas, and bringing in their own experiences. what can be done about racism in a union context. If you are a union activist or organiser and want to help build a strong union movement that is racism free, then this is the workshop for you.